Faculty in the School of Medicine and Health Sciences have been working with T.C. Williams High School in Alexandria, Va. over the last year to establish a health academy that will educate high schoolers on topics across the medical field. Virginia high school students will soon be able to take college health care courses designed by faculty in the medical school as part of a new dual-enrollment program. Faculty in the School of Medicine and Health Sciences have been working with T.C. Williams High School in Alexandria, Va. over the last year to establish a health academy that will educate high schoolers on topics across the medical field. Officials say the program, which will launch next fall, aims to address a shortage in health care workers in the D.C. area and increase representation in the field. Reamer Bushardt, the senior associate dean for health sciences in SMHS, said the partnership will train students for high-demand health care jobs and allow them to gain college credit from GW or other medical schools while still in high school. He said the agreement between SMHS and Alexandria City Public Schools committed the two schools to run the academy for five years, but he hopes for a long-lasting partnership. “My expectation and hope are that our two organizations will partner for many years beyond that, and this academy is the tip of the iceberg in terms of innovative endeavors we can accomplish together,” Bushardt said in an email. The academy will enroll between 100 and 150 students each year, and high school teachers will lead the classes at T.C. Williams High School. Medical school faculty will help design the curriculum to ensure the classes meet both GW’s standards and requirements set by the Virginia Department of Education. Faculty in both schools are working to flesh out curricula for seven potential career and technical education concentrations including pharmacy, nursing, surgical technology, biomedical informatics, sports medicine, energy emergency medical services and medical laboratory sciences, Bushardt said. He said the program is designed to give students a number of options immediately after high school graduation, including work in entry-level health care positions. 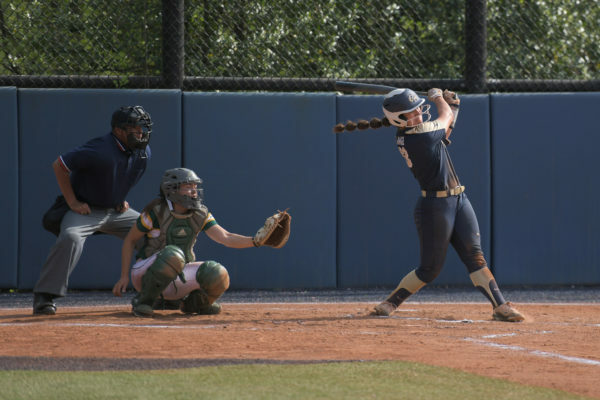 Students can also move on to Northern Virginia Community College to receive an associate’s degree or transfer into SMHS through a guaranteed admission program, having already earned credits toward a bachelor’s degree. Students who apply and are accepted into the academy can earn up to 22 college credits from GW, beginning as early as ninth grade, while meeting their high school graduation requirements. 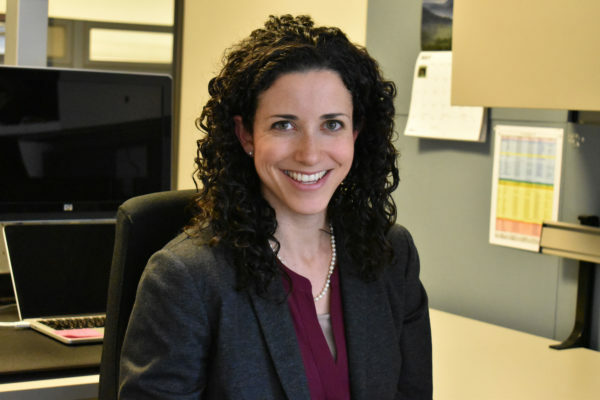 Bushardt said accepted students will complete a summer bridge program, supported by the medical school, which will prepare them for the difficulty of college-level courses. SMHS has had a relationship with T.C. Williams High School since Qing Zeng, the director of GW’s Biomedical Informatics Center and a professor of clinical research and leadership, worked with students there on a project to create video games that address issues in adolescent health, Bushardt said. He said the academy “is an opportunity to increase the diversity and cultural competency of the health care workforce in our region.” T.C. Williams High School maintains one of the lowest counselor-to-student ratios in the country and draws from a population that is racially, economically and ethnically diverse, he added. “Today’s health care workforce is not representative of American society, and that is working against the ultimate goal of ensuring every person in America has the opportunity to achieve his or her optimal health,” he said. Officials said the program aims to address a shortage of health care workers in Virginia and D.C. Bushardt said the Affordable Care Act, passed in 2010, has boosted the number of patients who have health insurance and that the demand for care has also increased. Jobs in health care are projected to grow 18 percent through 2026, adding about 2.3 million new jobs to the U.S. economy, according to the U.S. Bureau of Labor Statistics. Still, Helen Lloyd, the communications director at Alexandria City Public Schools, said medical school faculty wanted to make a larger investment in the future of the medical workforce. 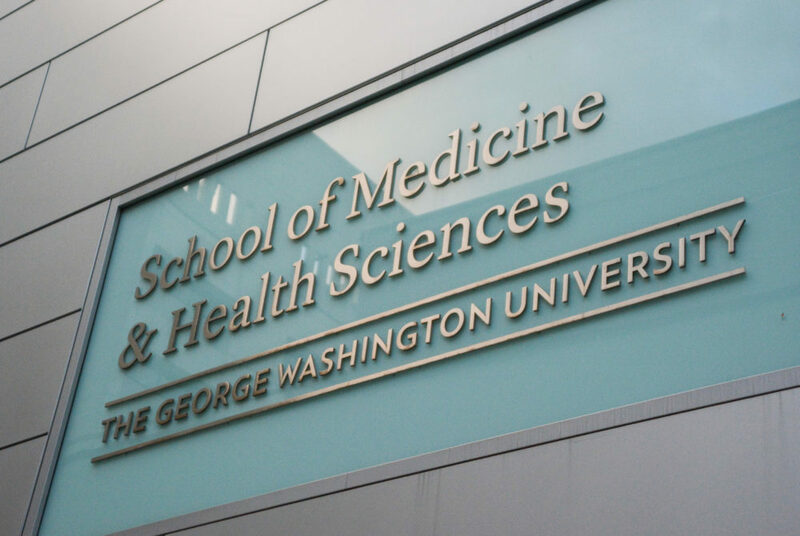 “GWU considers this an intellectual investment with hopes that ACPS students matriculate to the School of Medicine and Health Sciences upon completion of any of the seven pathways,” she said. She said that through the academy, officials hope to grow the number of industry certifications awarded to high school students and provide internships, mentorships, and clinical and cooperative experiences. This article appeared in the December 7, 2017 issue of the Hatchet.